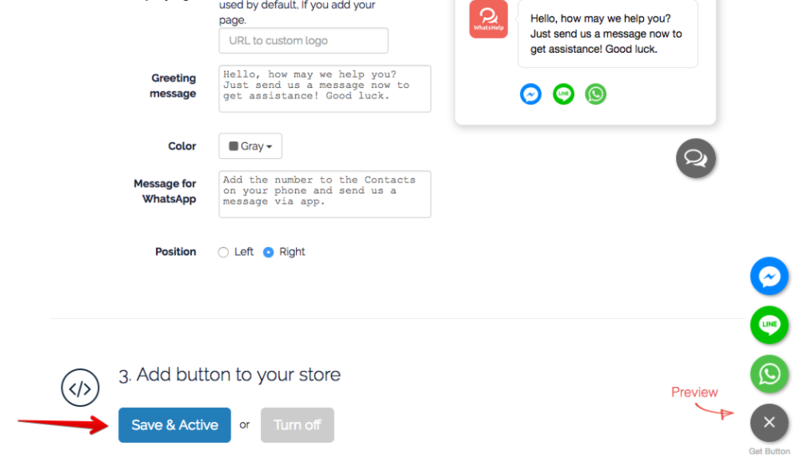 Go to the WhatsHelp Chat Button app page on Shopify and press the green "Get" button. Press on "Install app" and you will be redirected to the widget constructor page. Once the widget will be configured press on "Save and Active". Visit your store to check the widget. At any moment you can change the widget settings and turn it off. 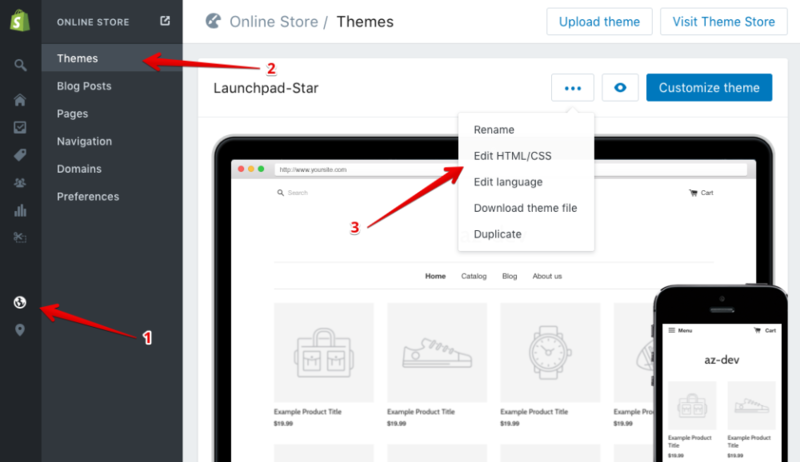 Log in to your Shopify admin panel and go to "Online Store" → "Themes". Choose "Edit HTML/CSS" in the menu on the right. 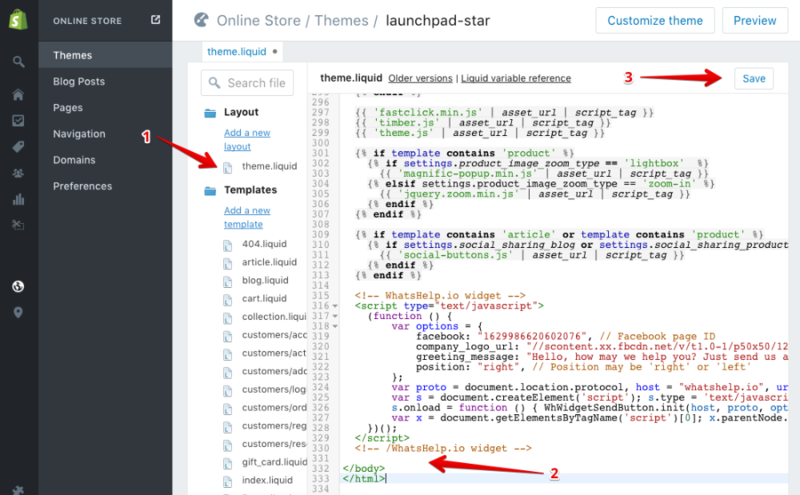 Go back to Shopify panel, paste the widget code before </body> tag.